Horsing around 2014! | The Badical One. So I made a calendar of some of my crazy adventures around here and there wearing my horse mask! A few of the pictures including the cover were taken in Tokyo while we were over there. If you could all promote the kickstarter for me it would be much appreciated! 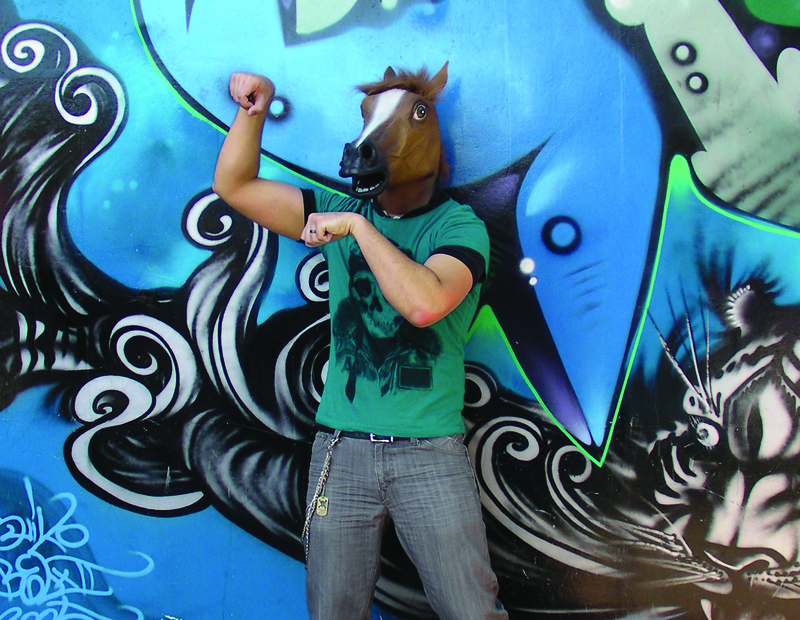 Posted by brianbadical on May 17, 2013 in Uncategorized and tagged calendar, horse, horse mask, horsemask, Japan, Kickstarter, mask, pictures, Tokyo.